Andrew Crofts says his ambition to play at Euro 2016 is part of the reason for his loan move to Gillingham. Last week, the 31-year-old Brighton midfielder was named in the Wales squad for their upcoming friendlies, over two years after his last call-up. "Wales manager Chris Coleman said to have a better chance of going in the summer he'd like to see me playing regularly," Crofts told BBC Radio Kent. "I wasn't guaranteed that with Brighton, so it was a tough decision." Crofts has featured 18 times for the Seagulls, who are second in the Championship, this season but his last outing came in the defeat by Cardiff on 20 February. The former Norwich man has won 27 caps for Wales, with the last of those coming against Serbia in September 2013. However, he could add to those in the friendlies against Northern Ireland and Ukraine during the international break. "With the Euros coming up for Wales it was important for me to get some games under my belt before the end of the season," he added. "After speaking to Chris, my place isn't guaranteed even if I play, but it gives me the best opportunity." Crofts began his career at Gillingham and has returned to Priestfield Stadium until the end of the campaign, although Brighton have a 28-day recall clause as part of the deal. 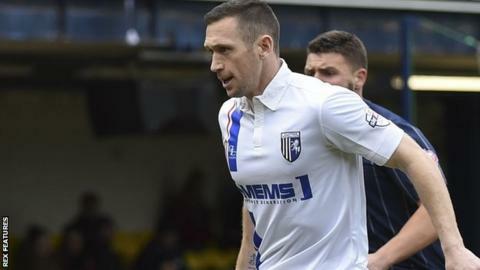 He scored 19 goals in 191 games in his first stint at the Kent club and he hopes he can help the Gills, who are fourth in League One, win promotion to the Championship. "This year I have got three massive goals; Brighton to get promoted, Gillingham to get promoted and a place at the Euros," he said. "I am going to work as hard as I can to achieve those things. I'll give it everything I have got."